Every year, the Holiday season might be the best time for most people to get acquainted with the new trends in electronic devices. 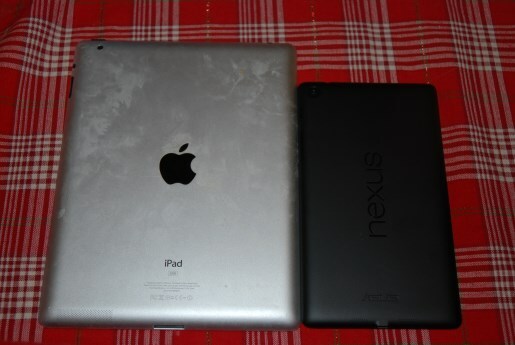 After all, what makes someone happier than a brand new tablet or phone these days? Our electronics devices have become necessities and each new year when we get our hands on the latest trends our lives tend to increase in quality by that little bit that seems to make a more than little difference. This year, the great people at Staples allowed us to get introduced to one of the hottest new tablets on the market. 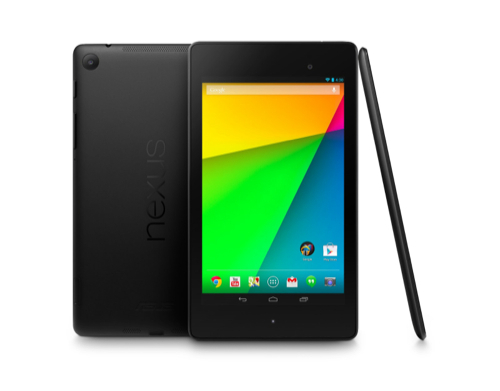 The Google Nexus 7 Android 4.3 7” mini tablet, hereafter referred to by its much simpler colloquial variant Nexus 7, is a mini-tablet computer brought to you by a joint venture between IT powerhouse Google and computer hardware giant Asus. To be precise, we are reviewing the 2nd generation Nexus 7 that comes with a quad-core Snapdragon S4 Pro processor, and not the original version equipped with the Tegra 3 cpu. You will find some of the specification later on in the review. The act of getting to know a new, awaited electronic item is one of my most enjoyable experiences every holiday period. I just can’t help my inner geek. That’s why attention to detail matters to me as it does to so many others evidenced by companies adopting smoother, sleeker designs for their merchandise ranging from the packaging, wrapping, to the product itself. The Nexus 7 comes in a pretty sleek dark sky blue box with a colorful jelly-beaned Nexus 7 in the forefront reminding us in a sense that the possibilities we now have in front of us are as endless as the deep blue sky, while the window to that boundless universe is the mini-tablet itself. The white Google signature at the bottom right hand corner adds that polished finishing touch. But enough of that, who cares about a simple box right? So we slip off the the over box and unclasp the white box which actually holds the Nexus 7 after nipping the white tape holding it together and here we go! Not much smaller than the box though the box itself is pretty small, the black Nexus 7 boasts a gorgeous 7 inch screen as well as a very pleasing overall design. 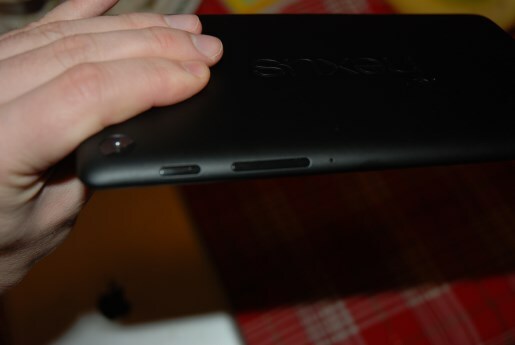 The back of the Nexus 7 is slightly rubbery but feels incredible in the crook of your hand. It has a very soft, warm feeling that makes you just want to hold it. 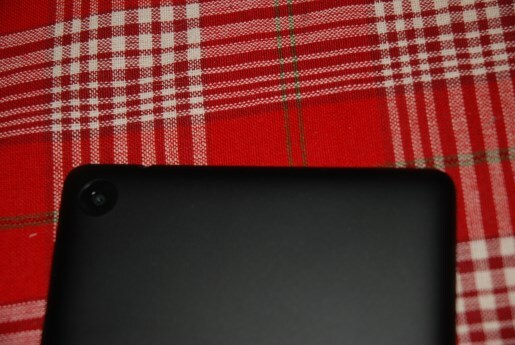 It does not have the cold, metallic I-need-to-get-used-to-this feel you get on an iPad. And all the while I don’t get any feelings of cheapness but feel pretty confident that the Nexus 7 could take a bit of a beating. If I would use one word to describe the design as whole, it would be intelligent. This thing was intelligently made for sure, and that’s no surprise as Google has pretty smart people working over there. For whatever reason, I was expecting once plugged in that the Nexus 7 would turn itself on as soon as it reached a certain charge threshold. That didn’t happen, so I pressed and held the power button located on the right side of the apparatus and got the white Google logo as confirmation that my instinct was correct. I was then taken to the welcome screen which asks to choose your language and WIFI connection after which System update tells us that we need to download and install an update, which we do. We are asked to input our Google account info, check or uncheck various backup and location options, set up a Google Play account, which you can deny and do at a later time, Backup and restore, the name of the person whom the tablet belongs to and we’re about all set. All simple setup procedures. I wasn’t counting, but I think the time elapsed from the first press of the power button until Jelly Bean‘s multicolored background first made itself seen was about 4 minutes but in no way longer than 5. Set up was as smooth and as problem free as I have experienced. I said before that the interface is very crisp-looking but I should add that the overall experience in navigating between apps, swiping, opening and closing apps is incredibly fast and jerk free. 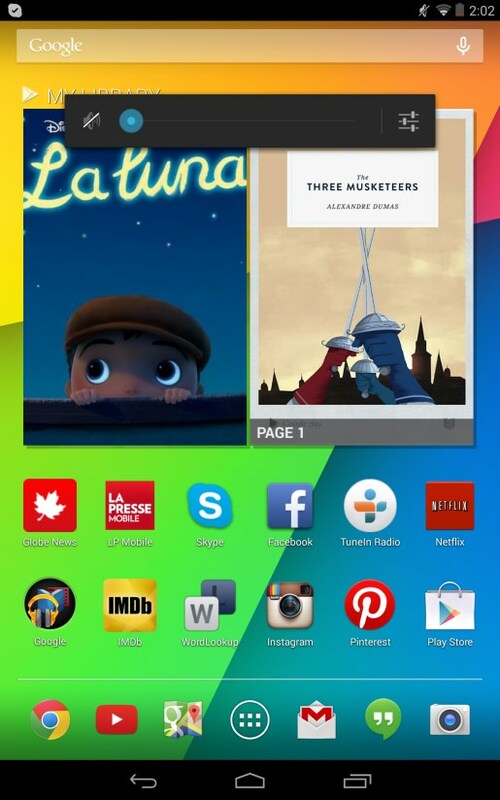 If the Nexus 7 is ascetically inviting, the Jelly Bean interface is just as unencumbered by jagged edges making it an operating system that’s as appealing to the eye as it is to the senses. Coming from an iOS background, the kind of speed here actually took me by surprise. The freedom of Android was also a bit of a shock as non-Google Play apps become a possibility for installation, as well as access to downloads and files. For the later you just need to download one of the many file explorers out there and you’ll be able to manipulate files just like on a desktop computer! The keyboard on the Nexus 7 is one of its better features. It’s hard to explain but it feels just right for this particular tablet. The keys are responsive and spaced out just the right amount which increases typing accuracy tenfold while the keyboard is just as fluid horizontally as it is vertically. 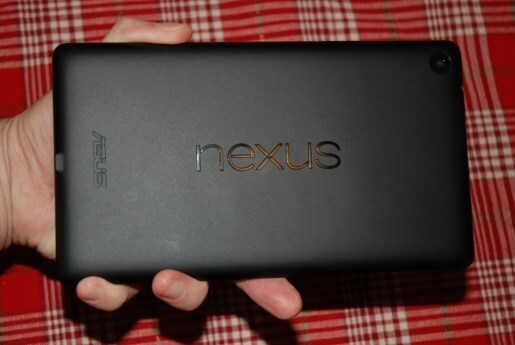 The 7 inch screen makes the Nexus 7 a tablet you can fully grip in the palm of your hand even if you have small hands. This adds stability which helps typing, as well as comfort for reading or web browsing, It’s also very light, weighing in at .64 lb. The 5mp rear camera will take some surprisingly excellent pictures, and because of its small size and weight this tablet is much more viable for tablet photography than the 10” screen tablets. I also found reading on this tablet to be an enjoyable experience and I’m not one to read much on back-lit devices. Books with colors and vivid imagery don’t lose any of their glory on the Nexus 7. It’s important to point out just how impressive the speakers: I was blown that such a little thing can pump such a full surround sound. Watching movies on the Nexus 7 has been an incredible experience so far. The Nexus 7 makes for a wonderful present these holidays; it is moderately priced, superiorly built and boasts great HD performance which makes this tablet one the entire family can enjoy. It currently retails at Staples for 249.00$ so make sure you get ’em now and not wait till’ the very last minute when they’ll be out of stock as the Nexus 7 is bound to be a big winner this holiday season.